“You guys from Bay Ridge?” This guy comes up to us. We were caught of guard and thinking who the heck did we bump into in Vancouver. We didn’t even recognize him. Turns out it’s this guy who has seen Victor on the train going to work and remembers seeing us walking around our neighborhood. They were on the last leg of their cruise vacation. We laugh about it till this day. What a small world. It was our last day and we spent it walking everywhere. I love industrial areas. One of my favorites back home was the Domino factory on the waterfront in Williamsburg. Part of it was demolished and it’s being turned into condos. 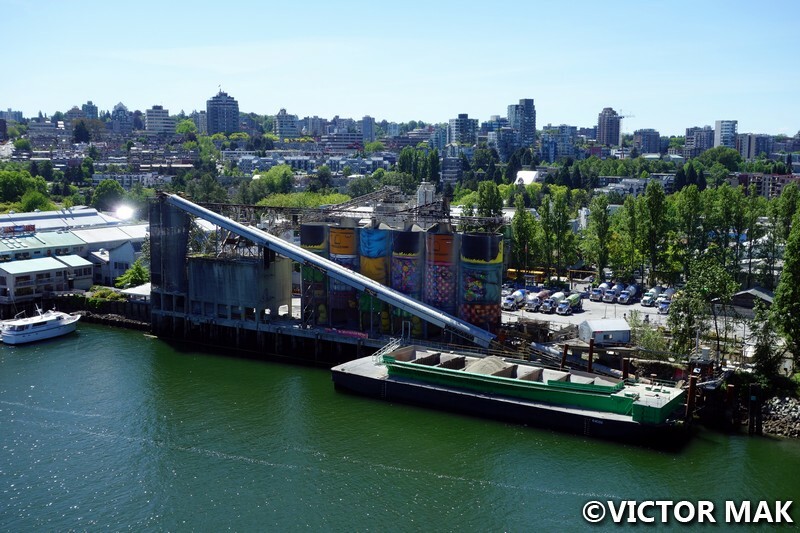 Walking to Granville Island, we happened upon this cute industrial site. Cute? Industrial? 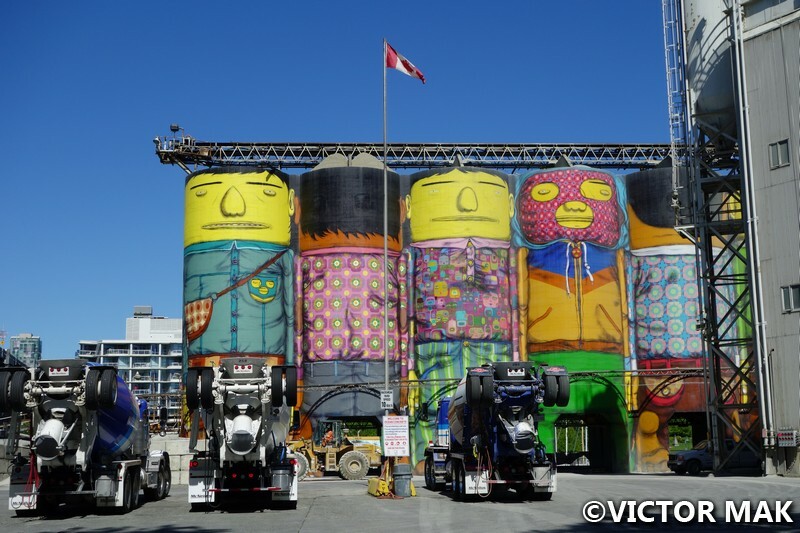 I liked the murals painted on the cement silos. It’s a public art exhibit by Brazilian twin brothers Gustavo and Otávio Pandolfo. They are known for spray painting characters on buildings and walls. It was created for the Vancouver Biennale. They are a non profit organization whose mission is “To make Public Art accessible, engaging, and motivating to create vibrant and inspired communities.” Quoted from their site. 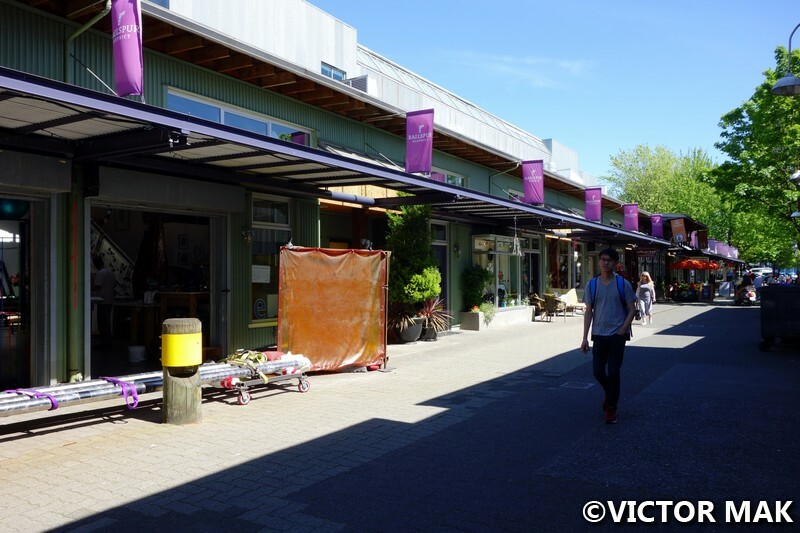 Granville Island has shops and eateries. It’s located across False Creek on a Peninsula. It was used as a fishing area by First Nations. 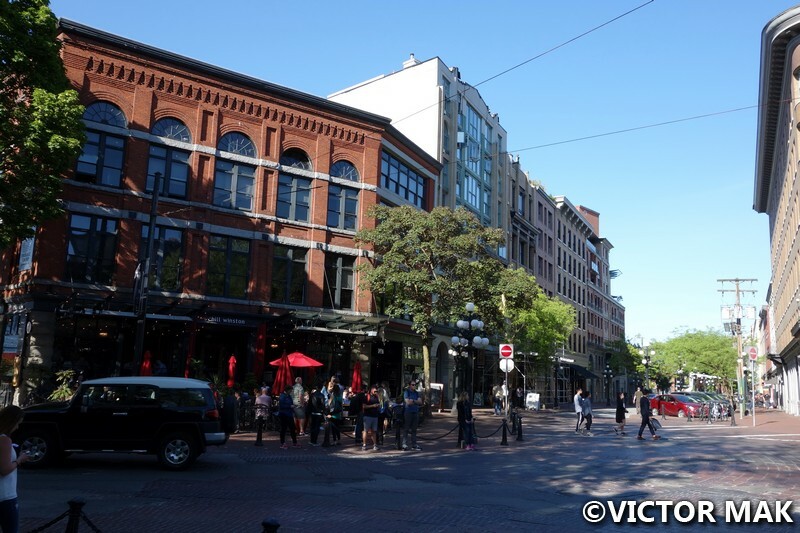 Vancouver was known as Granville until they changed their name in 1886. The early 20th century was an industrial boom for the False creek area. 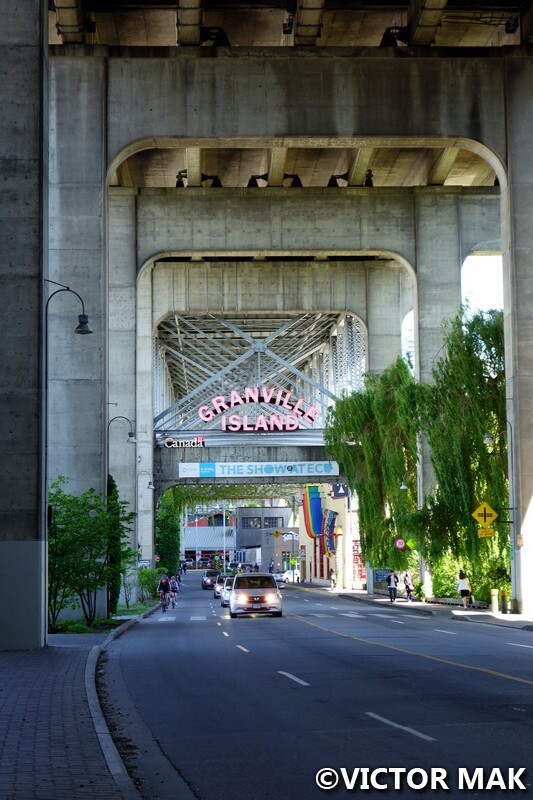 In 1909, a second Granville Bridge was built, this one was made of steel. The tidal flats of the creek had two sandbars and in 1915, the Vancouver Harbour Commission went ahead with a reclamation project that would dredge almost a million cubic yards from False Creek creating the flat island you see today. The first tenants were from construction, forest, mining, and shipping sectors. For a more in depth history of the place, read here. The island’s industrial past is apparent in it’s surroundings. It was nice sitting around eating and looking at the mountains surrounding the area. 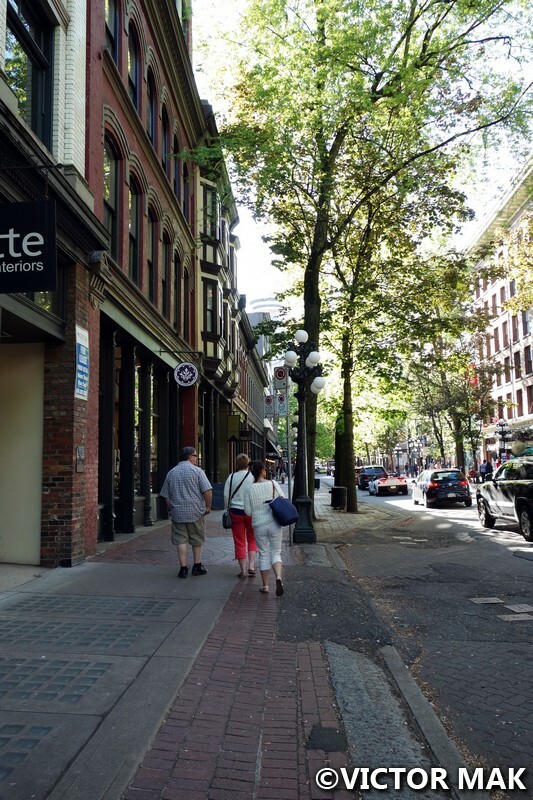 Gastown is a cute area at the north east end of Downtown. 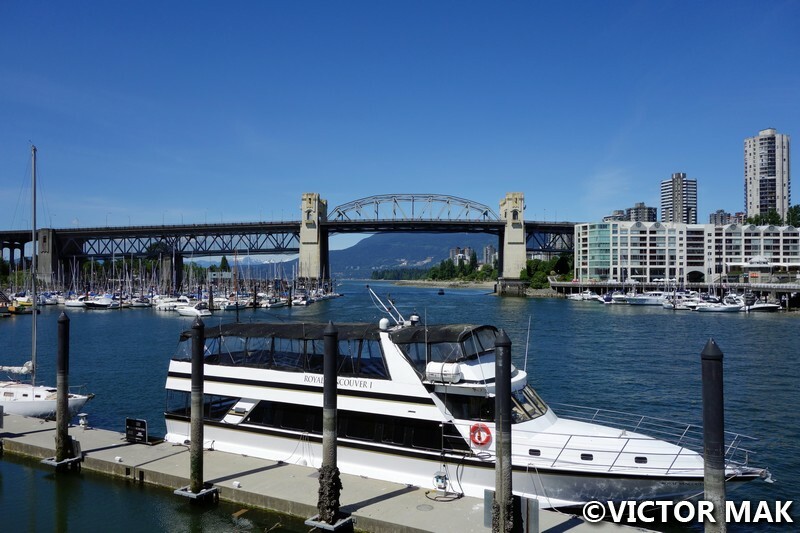 It was Vancouver’s first downtown and is named for Jack “Gassy” Deighton, a seaman from Yorkshire, steamboat captain and barkeep. He arrived and oped his first saloon in 1867. There are shops and restaurants. We saw a lot of southern BBQ and decided to eat Korean in West End. We eat a lot of BBQ back home so we wanted something different. We were sad to leave. It was some of the cleanest air we ever smelled besides Iceland. It was refreshing to see so much nature. 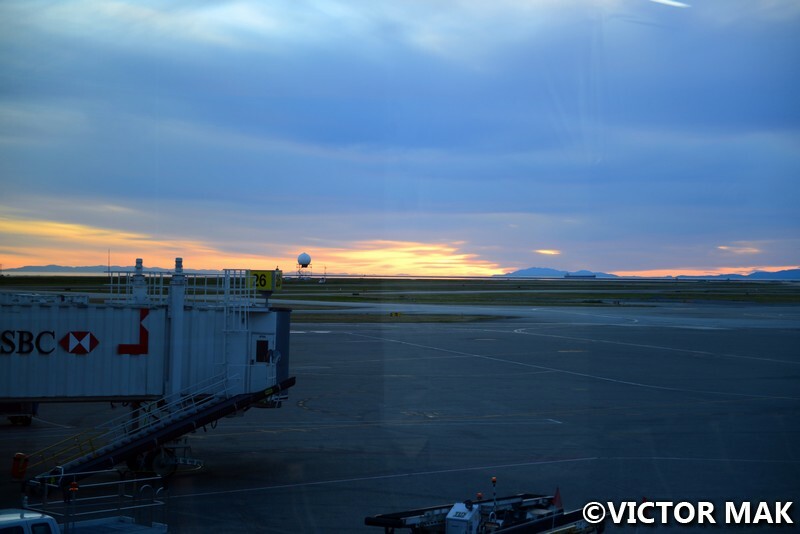 Oh Canada, we really miss you. These are called heritage houses. 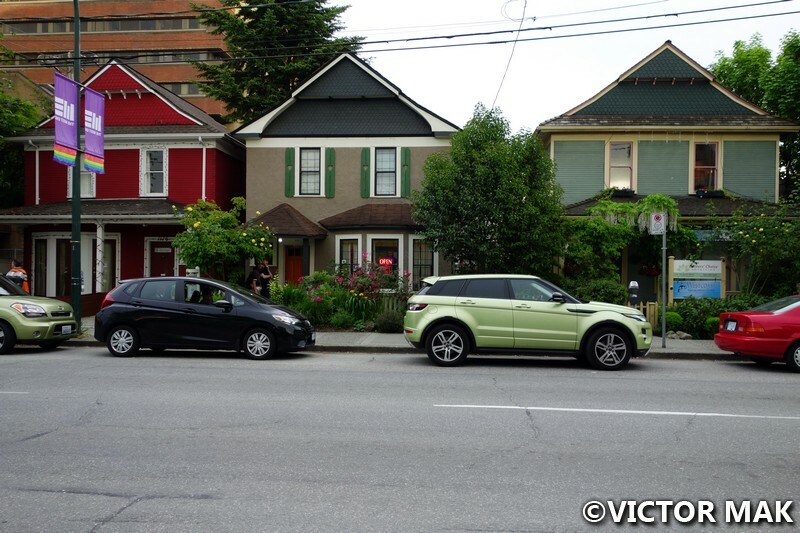 The old houses of Vancouver. They are so cute. Posted on November 21, 2016 April 5, 2017 by jebusandandrea	This entry was posted in British Columbia, Canada, North America and tagged British Columbia, Canada, Travel, Travel Photography, Vancouver. Bookmark the permalink. 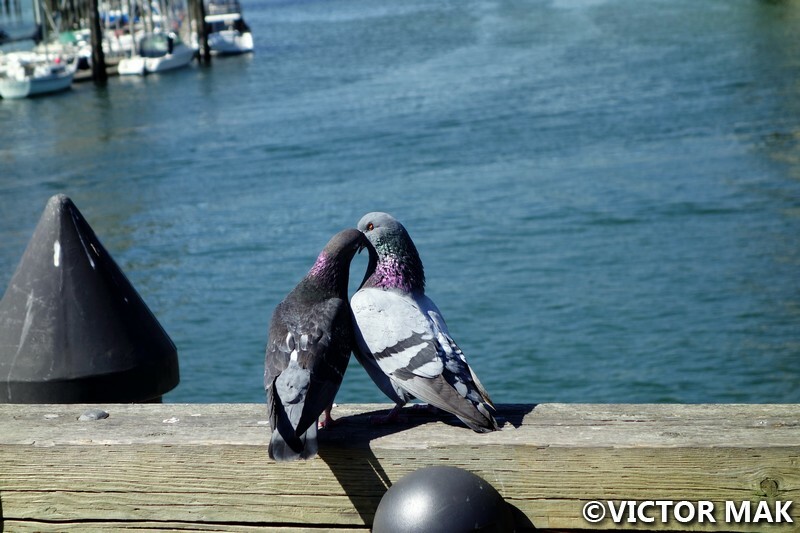 I love your pic of knoodling pigeons! Thanks! We hung out with the birds for a while. We didn’t want to go too far since ourt flight was at 9pm. So we just hung out and enjoyed what we could. My older daughter and son in law had an odd encounter when they were in San Francisco, where son in law’s parents live. A guy came up to them and out of the blue said, “Did you guys live in Pittsburgh? Did you go to Carnegie Mellon?” They freaked out for ten seconds until the guy quickly explained he went to CMU and used to see them walking around the campus and surrounding neighborhood. Since daughter is half Asian and sil is Indian and six feet tall, they were pretty distinctive, even among CMU’s international student community. Still, what are the odds of you meeting with another New Yorker in Vancouver? Vancouver is gorgeous! You even had great weather out there. Both of my daughters say rain is the default weather in BC. I do hope you get return there sometime soon! That’s pretty funny. Small world. What are the odds you bump into people? It’s so weird. We got lucky. We had unseasonably warm dry weather. We didn’t bring enough tees. We read our guides and followed what to bring and got a good laugh when we arrived. The air smells so nice out there. Great post.You seem to find the best of things whereever you go.Those painted towers are exceptional.. Thanks! We like to explore on our feet so we try and walk everywhere unless it’s not a safe place to be. The silos were really cool. I love industrial things so that was a really fun find.